Meijer is a regional American supercenter chain with locations throughout the Midwest region. Supermarket News ranked Meijer No. 15 in 2016. Meijer is the 26th-largest retailer in the United States. 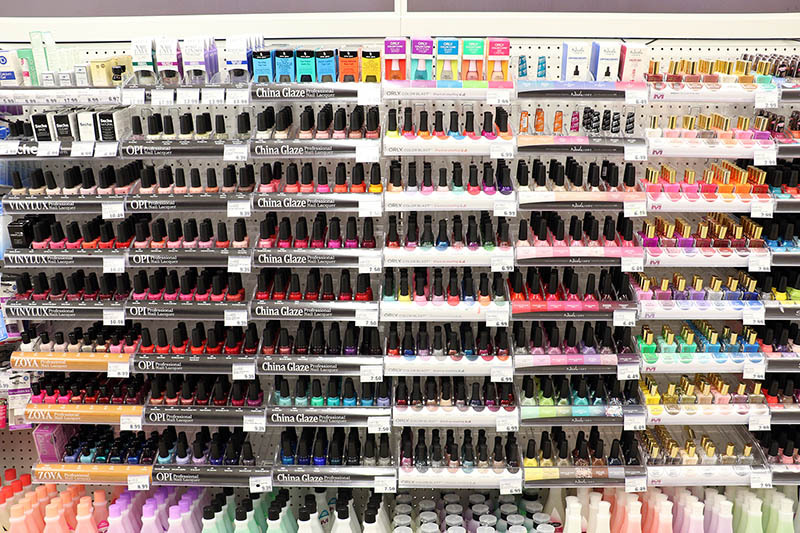 Meijer required a nail polish display re-set across 200+ locations. 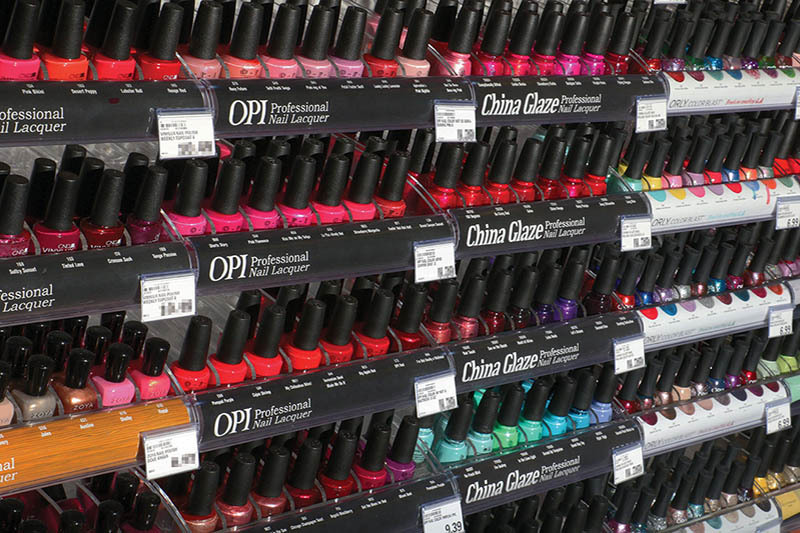 The challenge was to produce a uniform tray that would be compatible with all the different nail polish brands. Azar Displays customized a stock molded tray, item #225820 to meet Meijer’s requirements. The result was item #225899, molded gravity fed/slanted tray. We produced 13,000+ trays, inserted dividers and graphics as well as created special assembly instructions for the stores. 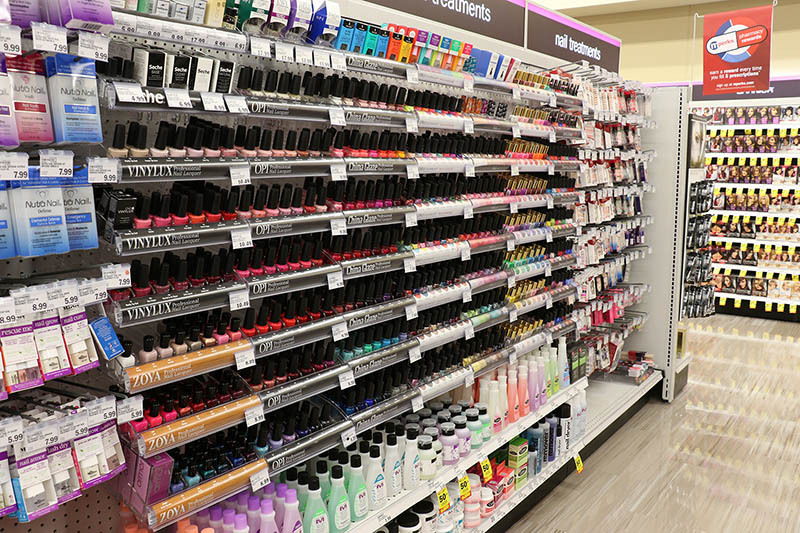 Azar Displays continues to support Meijer with the opening of new locations that require new nail polish trays and maintenance of the existing trays in stores. All 13,000+ trays were produced, custom packed, and drop shipped to 200+ store locations within an 8 week time frame. BAM!